Single books can be ordered here or on Amazon.com. See bulk order information here. 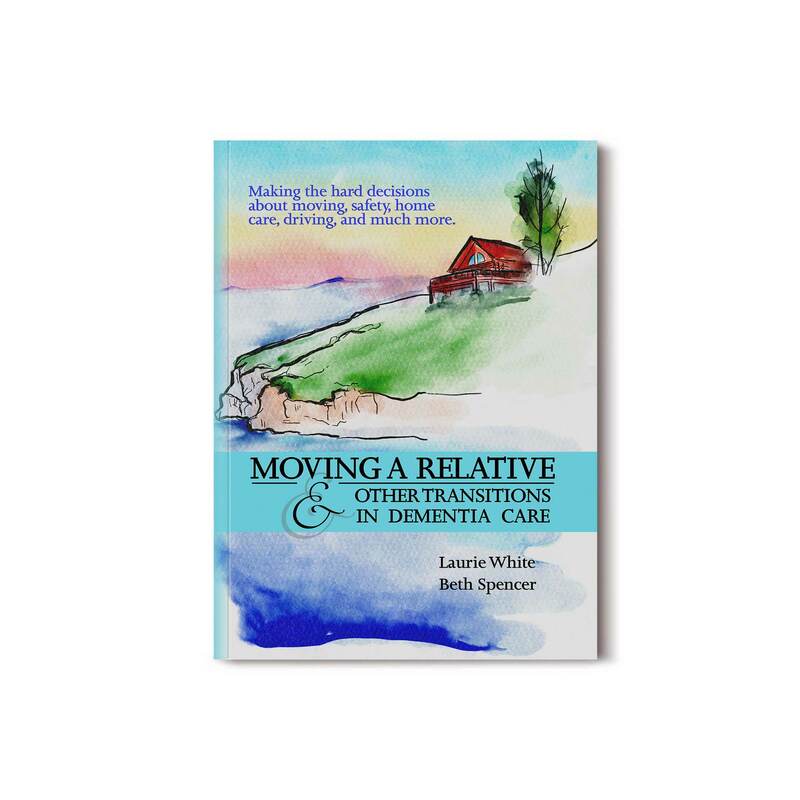 Laurie White and Beth Spencer have come up with yet another helpful guide for those living with and caring for loved ones with dementia. Moving a Relative & Other Transitions in Dementia Care takes on some of the most challenging situations and decisions that family members face. The authors have gathered sage advice from the leader experts in the field to help make the journey easier. 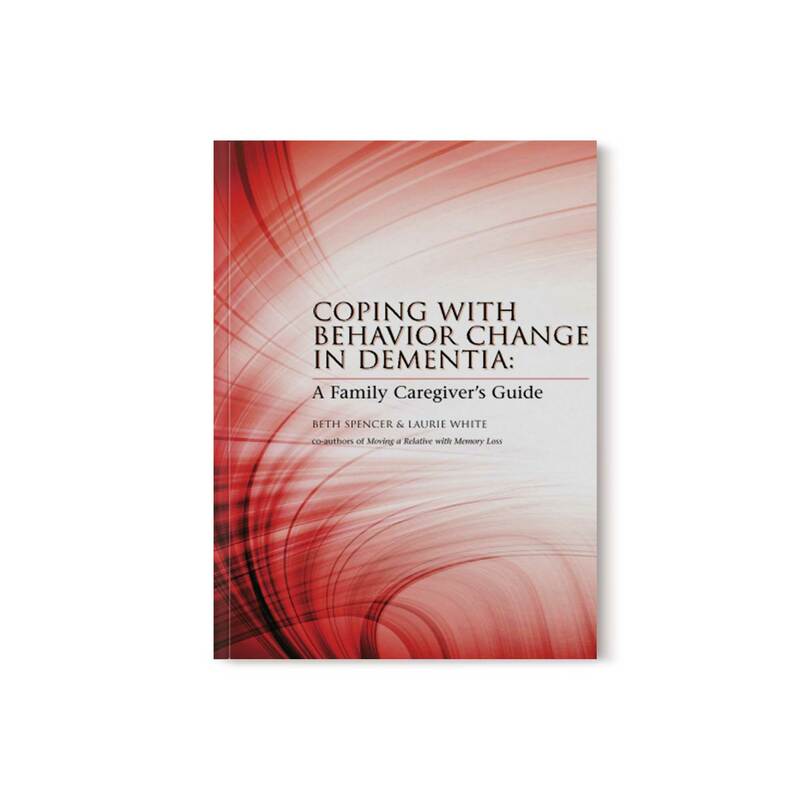 This is a remarkable resource for family caregivers and professionals working with people struggling with dementia. The authors are unafraid to tackle sensitive concerns from difficult behaviors to loss of intimacy. It provides comprehensive and practical non-pharmacological solutions for caregivers to be successful in the home setting. A must read! Beth is a geriatric social worker specializing in dementia care and caregiving issues since the early 1980s. In addition to sharing a private practice with Laurie White for a number of years, Beth taught aging-related courses at several universities. Since 2000 she has been director of the University of Michigan Silver Club memory loss adult day programs, has served as social worker in the UM Cognitive Disorders clinic and as program manager for the Hartford Center of Excellence in Geriatric Social Work at the UM School of Social Work. In addition to counseling caregivers, she shared primary caregiving responsibilities for her mother. Beth, retired now, lives in Ann Arbor, Michigan. Laurie first started working in the field of dementia care in the mid 1980’s. 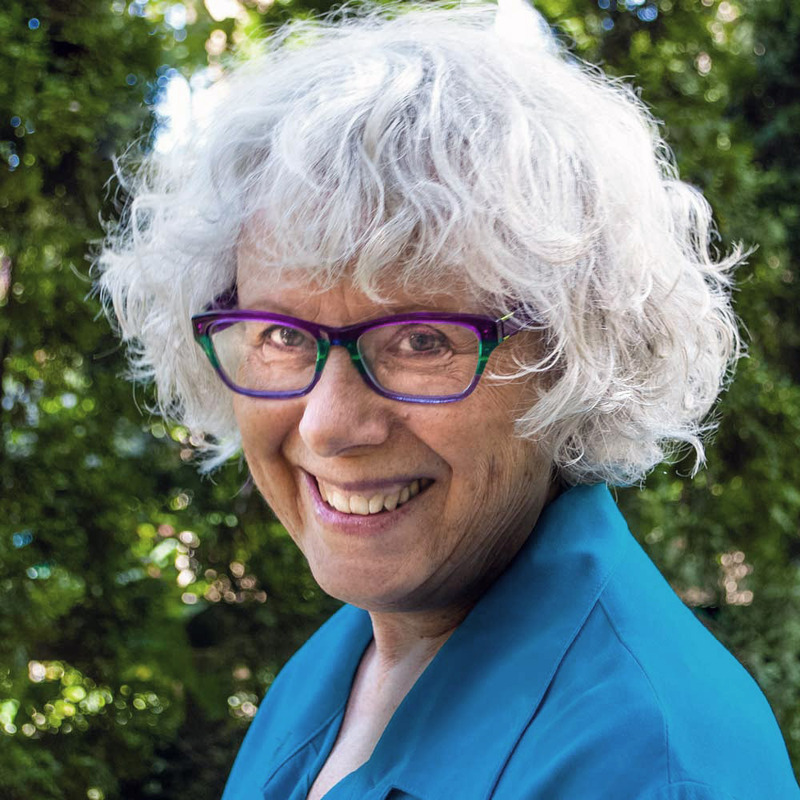 Her career has focused on counseling family caregivers, developing programs and improving care for residents living in dementia care homes and educating health care professionals who work in long term and community based settings. She developed one of the first early stage groups in the country for people with dementia and has continued to facilitate these groups for 18 years. Laurie was Executive Director of the Alzheimer’s Association in Michigan and in California. 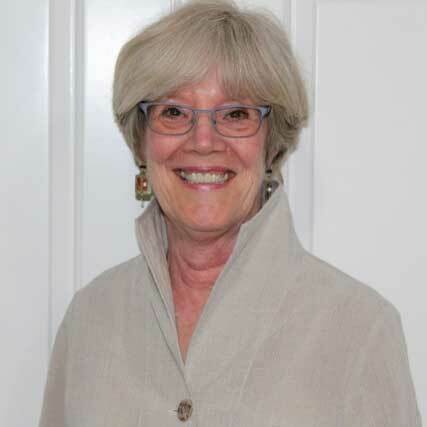 In addition to being a nationally known speaker, Laurie continues to work part time in her private practice, Dementia Care Consulting, based in Santa Rosa California.